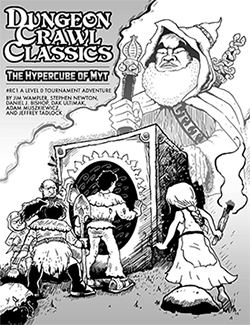 Joseph Goodman and his minions discuss the exciting new releases coming from Goodman Games in 2016, including the long-awaited DCC Annual, Grimtooth’s Trapsylvania, Erol Otus-inspired adventures, this year’s Halloween module, Music of the Spheres, Xcrawl Classics, more Mutant Crawl Classics, Lankhmar, and the official announcement of the Dying Earth RPG! This is an audio dump of the video by Diogo Nogueira and David Baity. The full video will be posted online soon.